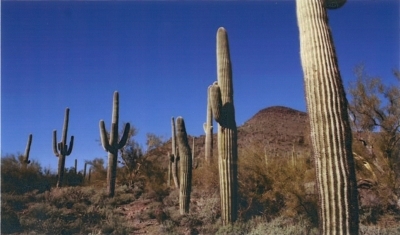 In 2008, an agreement was signed with the Governor and the State Land Commissioner for approval of the annexation of 4000 acres of undeveloped land, into the borders of the Town of Cave Creek. It was contemplated that the Town would assist with the development of this area, planned in such a manner that housing growth and business entities could be focused close to the Carefree Highway. This could permit large portions of the remaining land to be left undeveloped for open space and enjoyment by the public. The town agreed for its part to provide the infrastructure that would encourage such growth, and it constructed substantial water and sewer entities, in anticipation of said growth. As these steps were being implemented, the “Great Crash” of 2008” occurred, which severely limited investment in such expansion. As a result, State Trust Land retreated from land sales at the then lower bargain basement prices. The State Land Department is required to maximize its sales pricing by law, and therefore chose to enter into NO purchases for five years. Recent sales by State Land have yielded record prices, which resulted in a very limited ability by the Town to purchase any of this land. The Town has a first option for about 15 more years. The State Land Department and our Town Management continue to discuss possible creative opportunities to purchase all or parts of this land while retaining open space preservation status on the 4,000 acres. 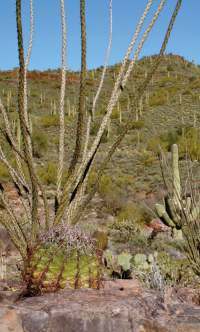 Friends of Recreation Conservation and the Environment (FORCE) is a joint effort and partnership with the Desert Foothills Land Trust. DFLT is acting as the fiduciary agent for all funds being raised for this initiative. DFLT is a 501(c)3 non-profit organization. Donations to F.O.R.C.E. will be used soley for the purchase of State Trust Land to be set aside as permanent open space and may be tax deductible depending upon the donor's particular tax situation.